For Black History Month, I am excited to review this book about a brave black woman named Rosa Parks. A lot of people know Rosa Parks refused to give up her seat on a bus to a white person when she was 42. But When Rosa Parks Went Fishing talks about Rosa Parks’ early years, the years we usually don’t learn about. It is written by Rachel Ruiz. I interviewed her last year. She also wrote When Penny Met Potus, a book I loved. When I read the Rosa Parks book, I learned that even when Rosa was a kid she was tough and brave. She even pushed a white boy because he pushed her for no apparent reason. That was in the 1920s and she could have gotten into a lot of trouble. I also learned she had a strong bond with her grandparents. They taught her important lessons like always standing up for what she believed in. The book also share a fun fact that she like to go fishing! The pictures by Chiara Fedele helped me imagine Rosa Parks as a kid. This book was enjoyable because it got me thinking: I wonder if Rosa ever knew she would one day become one of the most famous activists in the country? The book reminded me that a lot of famous people started out as kids with a brave mindset like the people in Young, Gifted and Black. Readers from ages 6 to 9 will like this book. It is an easy read, jam-packed with lots of facts. Maybe after reading this book, you might consider reading the other books in the series such as When Amelia Earhart Built A Rollercoaster by Mark Weakland or When Hillary Rodham Clinton Played Ice Hockey, also by Rachel Ruiz. When Rosa Parks Went Fishing gets 3 out of 4 roses. 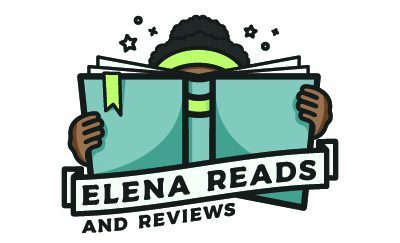 Elena, when you are a well known writer some day, and another author writes about your childhood, what surprising fact do you think they will share?